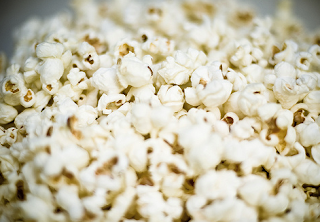 Looking for a healthy option to microwave popcorn? This is the best way to control the amount of butter, salt or sugar. And it's real butter! Put 1/4 cup popcorn in a brown paper bag. Fold top over a few times and tape it.